In 1995, a 10-year-old boy named Lewis Hamilton approached McLaren team boss Ron Dennis at an awards ceremony and told him he wanted to race for him one day. 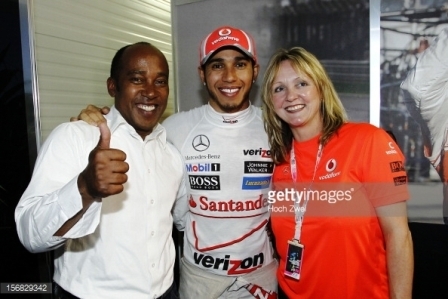 Three years later, Mercedes-Benz and McLaren signed him to their Young Driver Support Programme. 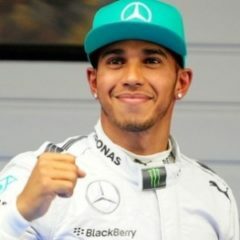 Today, Lewis Hamilton is a Formula One three-time world champion. His first win made him the youngest F1 winner ever at 23 years old. He’s an outspoken personality and lives a rockstar life, flying the world in his private jet: a Bombardier Challenger 605, in his favorite color, candy apple red. He’s dated tall, dark beauties like Nicole Scherzinger of the Pussycat Dolls and has been seen at events with Kendall Jenner and on vacation in Barbados with Rihanna. He is one of the best Formula One drivers ever, but what’s behind all the flash? Here are ten little-known facts about Lewis Hamilton. Hamilton’s mother, Carmen (Larbalestier), is white British, while his father, Anthony Hamilton, is black British, making him mixed-race; Anthony Hamilton’s parents moved to the UK from Grenada in the 1950s. 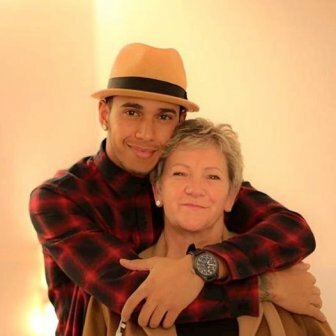 Lewis Hamilton’s parents separated when he was two. As a result of this, he lived with his mother and half-sisters Nicola and Samantha until he was twelve, when he started living with his father, stepmother Linda and half-brother Nicolas, also a professional racing driver. Hamilton was raised a Roman Catholic.